All you need now are black Speedos! Deluxe superhero mask from the Watchmen movie. Dr. Manhattan blue in color. After acquiring this mask, all you need to complete your Dr. Manhattan outfit are black Speedos. Or, if you dare, no bottoms required! 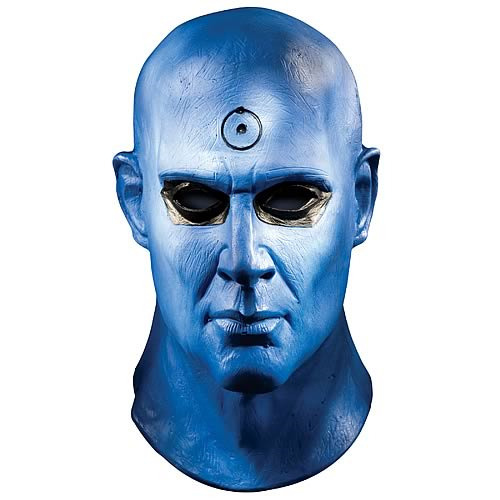 This Deluxe Dr. Manhattan Mask comes to you from the 2009 Watchmen movie. Join the Watchmen today! Measures about 12-inches tall.